Let's not forget that they don't have to pay for school. Whether you look at is as pay itself or not, scholarships weren't always offered to college athletes, and it's something that can't be overlooked. Millions of parents all around the country save money their whole lives hoping they can afford to send their children to college, to get an education and a degree. Scholarships can't and shouldn't be shrugged off. Sporadically over the past few years you will hear stories about players not being able to eat enough, that they go hungry some nights. A lot of top tier schools give their students meal plans, but not all do. I think the value/basic meal plan should be plenty for the athletes, as they aren't on campus as much as anyone else. I'm surprised that not everyone gets a meal plan, even if they live off campus. 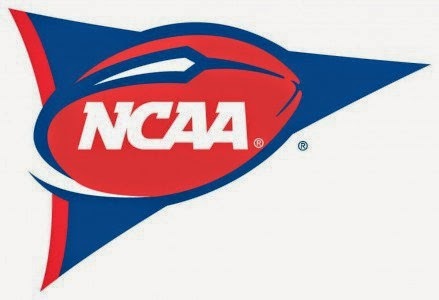 Almost every college athlete will complain that they are in a video game (NCAA Football, NCAA Basketball) but don't receive any money for it, even though that's clearly them. This argument is no longer valid. Although I did love those video games, they're gone now. NCAA Basketball stopped after 2010, and football made their last run with 14. I agree with this because I don't think it's right that they can make money off a video game when the players are clearly in it but "it's not them". DE #7 is rated as a 99 overall in NCAA Football 14. Are you going to tell me that isn't Jadeveon Clowney? I'm glad the video games are gone, that was corrupt. If a player gets injured that could be detrimental to their career. If they weren't crucial to the team before, and their status for the next season is wavering because of their recovery time table, they could lose their scholarship entirely, and be left out to dry. This doesn't mean we should pay them or give them workman's comp, but I do support a 4 year scholarship. This ensures that athletes can, worst case scenario, get a degree with hopes of garnering a career from it if they get injured and can't play football. I love this one. College athletes have long weeks, somewhere around the ballpark of 45 hours. This includes early morning workouts, classes, afternoon practice, tutor sessions, and team meetings. And I hear a lot of people arguing that since they have this busy of a week they don't have time for a part time job. Which is true, they don't. But what do they need it for? If they all get meal plans like I think they should, then they don't need another job, their school is paid for in full. Here's a little math for you. Professors and schools around the country agree that there should be about two hours of work for every credit taken. While this isn't true for intro classes, it's more than true for upper level classes. So we will bring it down to 1.5 hours per credit. If a student in a rigorous major has 17 credits, that adds up to 25.5 hours of work per week, plus the 17 in actual class time is 42.5 hours per week. This number isn't consistent, and can vary depending on the classes you take, but is an overall average. Something else very common that students do is to work at a dining hall or the library, picking up 8-10 hours a week. This adds up to over 50 hours a week on average, and this student working 50 hours has to pay for school. This is something often overlooked.